The hijacking of Air France Flight 139 and the hostage crisis and spectacular rescue operation that followed made global headlines in the summer of 1976, and within months had spawned two competing all-star-cast American TV movies and a gung-ho Israeli feature that earned the B-movie king Menahem Golan his only Oscar nomination. 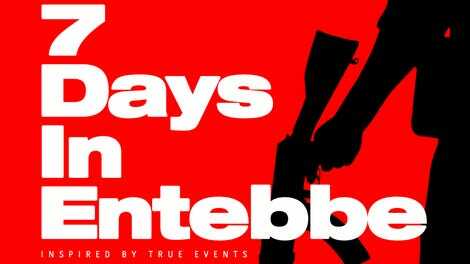 But despite benefitting from more than 40 years of hindsight, 7 Days In Entebbe, a slick new movie about the hijacking from the Brazilian director José Padilha (Elite Squad: The Enemy Within), doesn’t represent much of an improvement on those topical quickies. Almost structurally identical to the earlier versions (probably because there’s only one good way to tell this story), the script, by ’71 writer Gregory Burke, deviates only in its decision to focus on Wilfried Böse (Daniel Brühl) and Brigitte Kuhlmann (Rosamund Pike), the two left-wing German terrorists who took part in the hijacking along with members of Wadie Haddad’s Palestinian nationalist PFLP-EO. While the hostage-takers try to figure out a way to exchange the plane’s passengers and crew for 53 imprisoned Palestinian militants, the chain-smoking Israeli prime minister Yitzhak Rabin (Lior Ashkenazi) ponders a course of action, with his defense minister, Shimon Peres (a one-note Eddie Marsan), pushing for a tactical solution. Moving ploddingly between the hijackers and the Israeli cabinet as both groups argue over their respective principles and policies, 7 Days throws a somewhat baffling additional subplot about an Israeli dance troupe into the mix. Cuts to their rehearsals and performances don’t do much to spruce up Padilha’s polished but sluggish action scenes; instead, they come across as a pale, sexless imitation of the notoriously literal climax of Steven Spielberg’s Munich, a juicier, more exciting, and significantly more thoughtful and troubling film on similar themes. 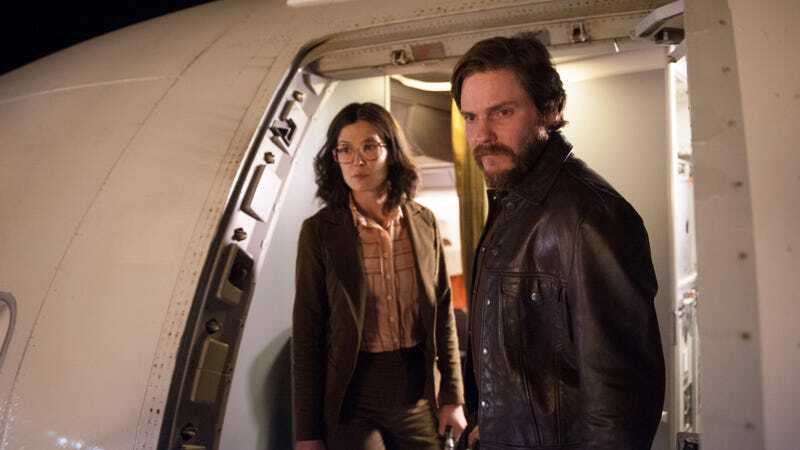 Lacking both the exploitation-movie claustrophobic urgency of Golan’s Operation Thunderbolt and the Irwin Allen-disaster-film factor of the Irvin Kershner-directed NBC version, Raid On Entebbe, 7 Days instead goes for businesslike professionalism. Unlike those earlier iterations of the story, it’s a period piece, and behind its predilection for decors and fashions of the 1970s—the era of wood paneling, cigarettes, turtlenecks, owly glasses, and leather jackets with huge lapels—one can almost detect a vague nostalgia for the so-called golden age of political terrorism, the theater of hijackings and hostage negotiations that was superseded by the emergence of suicide bombing in the early ’80s. In those days, one could still safely draw some equivalence between terrorists and those who refused to negotiate with them. In the hands of a true revisionist pulpster, 7 Days’ militants might be like Sam Peckinpah characters, hired guns with blood on their hands facing their own obsolescence in an even scarier world to come. But as with Padilha’s already forgotten remake of RoboCop, one appreciates the film because it’s easy to imagine someone doing worse (e.g., the cheap-tastic ABC version, Victory At Entebbe) and not because one can’t imagine someone doing it better.